Publish or Perish: Level Up is the choose-your-own-adventure from Rising Ape Collective where the whole audience gets to play together. Take control of a young scientist struggling to make it through the strangest day of their life and lock down a mythical "permanent position", guided by the all-knowing game master. 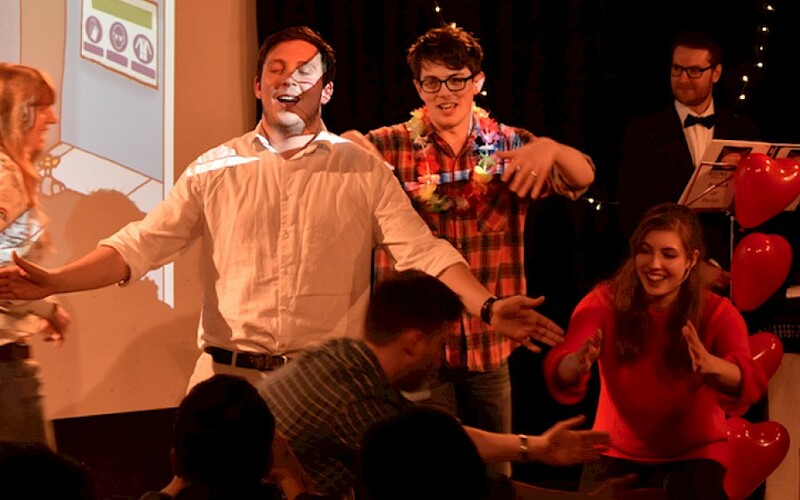 Mashing up live action role play, daft songs and dafter dancing, a field trip full of improvisers and an unhealthy dose of audience suggestions, surviving the sci-fantasy world of Publish or Perish ultimately depends on your choices – research taken to the next level!